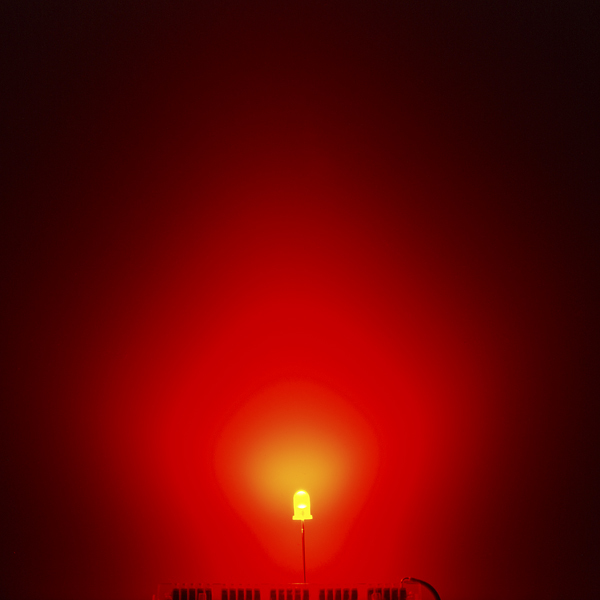 What the wavelenght of this led red? 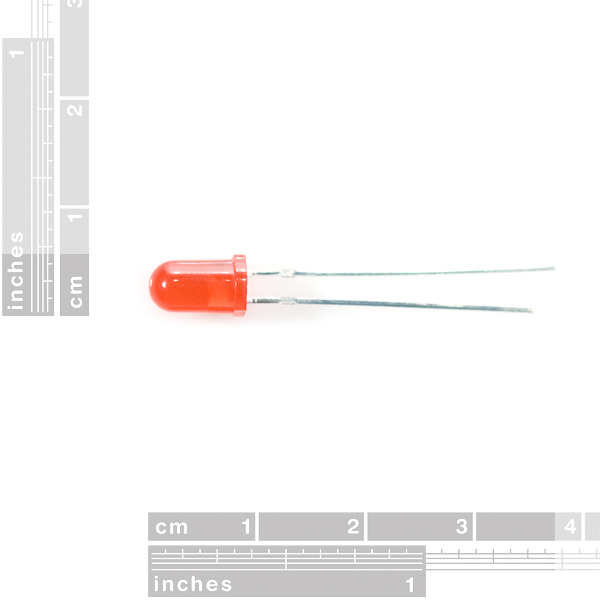 I've a question: can a led like this work at 24v with a resistor? 2.2 volts is the minimum voltage drop across the diode for it to light up. So, 24 VDC satisfies that requirement next you need to make sure the current through the diode does not exceed the max 20mA rating listed, recommends designing for 16-18mA current. Let's say 16mA for ease of calculation. With a series circuit of power supply, LED and a resistor you get Vres = 24 - 2.2 = 21.8 V. Then simply, R = V/I = 21.8 / 16e-3 =~ 1.3kOhm. 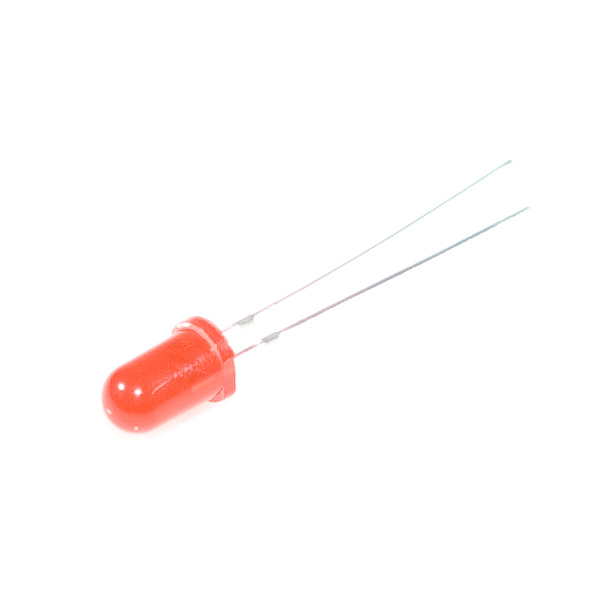 The max forward voltage for this LED is 2.2v. Take a look at the datasheet for more information about the max ratings for this. Does this mean that you can't apply more than 2.2 V across the LED terminals without running into trouble? 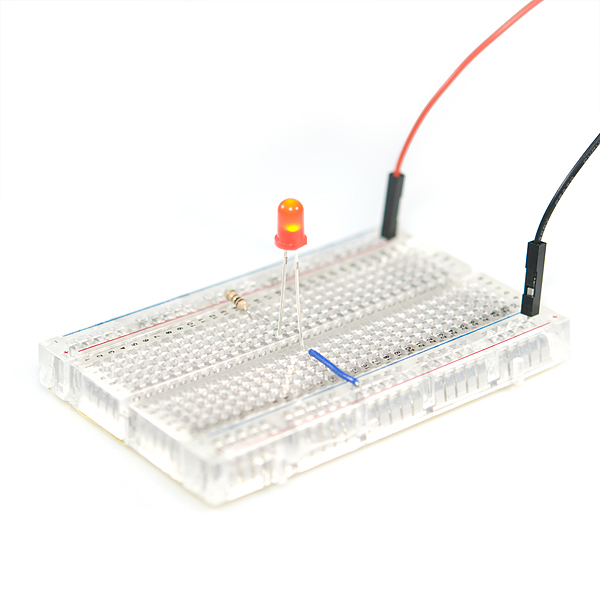 These are the LEDs we use in our Inventor's Kit with the Arduino Uno and the Redboard. We do run these off of a 5V line, but always with current limiting resistors in circuit. You shouldn't have any issue with that.